Available on Google Play (Android APK), Amazon, iOS, OS X, and Windows Phone. 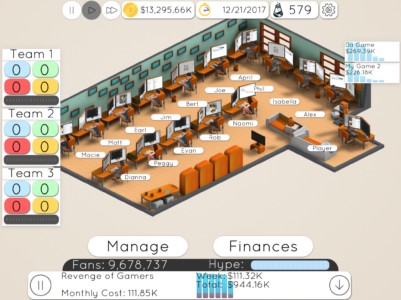 Start as an indie game dev; become the world’s greatest game studio! Welcome to the next generation of game development! Game Studio Tycoon 2 puts you in the place of an indie game developer during the early days of the gaming industry. 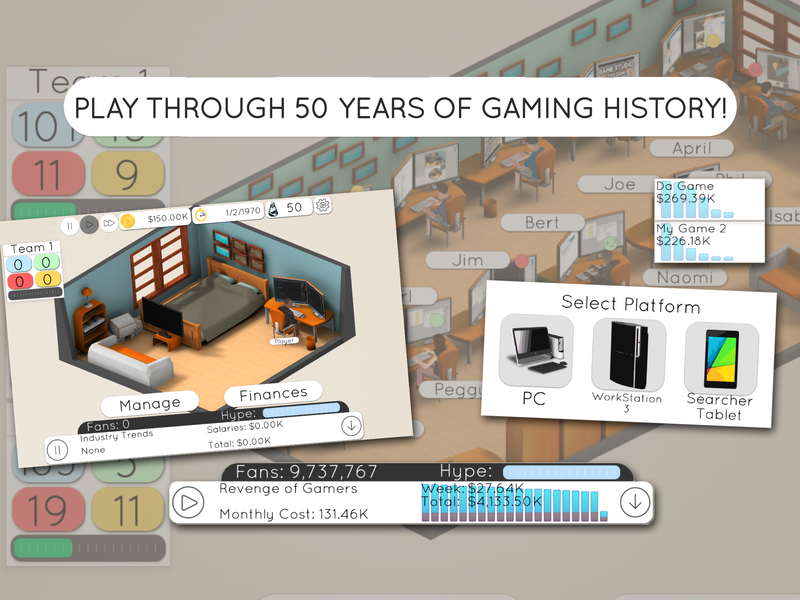 Play through 50 years of gaming history and develop on over 40 different platforms! Expand your studio along the way and hire up to 16 employees! Do you have what it takes to become the ultimate game developer? – Play through 50 years of gaming history! 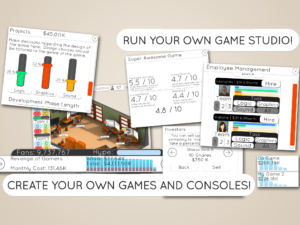 – Manage every detail of your studio! 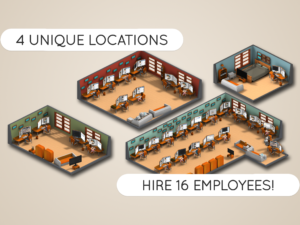 Hire employees, create up to 3 separate teams, raise money by getting investors, create games, consoles, and more!